Editorial: With wide open arms we welcome Claire Carlile to our blogging team! We have seen some of her blogging in the past and know she can write. We have seen her work and know she knows what she is talking about and we have met her so we know she is a great person. All ingredients to be part of the State of Search blogging team. Welcome a board Claire, good luck! Below you find her first post entitled “Linkbuilding Tactics, Tools and Traps: Wise Words from Dixon Jones of Majestic SEO”. 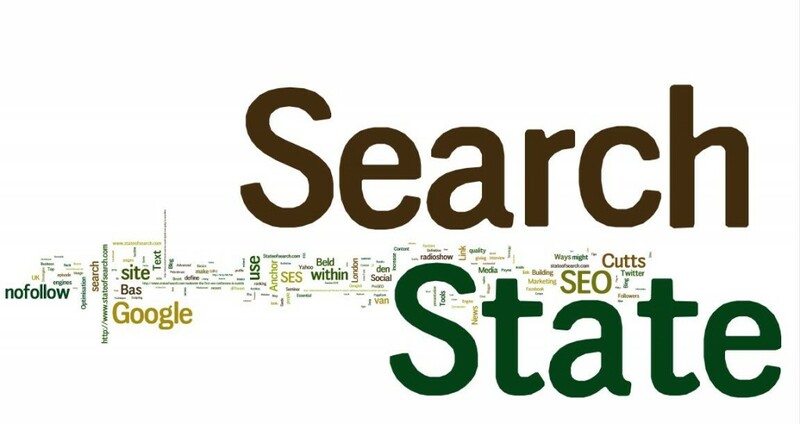 OK, so here goes, my inaugural post on State of Search, please be gentle with me. •	Secondly if your blog is any good you’ll earn links and social shares, which is always nice. Now, live blogging can mean different things to different people. Some folks manage to tap out the entire content of the session and press publish before the speaker has even left the room (like Kieron Hughes blogging ThinkVis), others endeavour to get the post live within the hour. 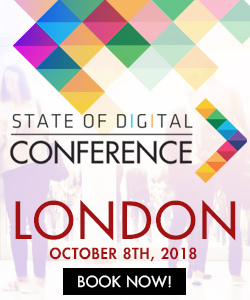 Some bloggers take slightly longer to post their content, preferring to assimilate the information presented, support the points made by the presenter with careful linking and their own thoughts, or present ‘round up’ versions of events focusing on key takeaways (fancy 301 takeaways and tops tips from SES London, anyone?). Like Kieron, on March the 4th I had the not so dubious pleasure of attending ThinkVisibility, a 1 day SEO conference set in the rather illustrious premises of a casino in Leeds (round up post from State of Searches own SEOPanda here). Happy days. I scribbled copious notes, live blogged Annabel’s and Paddy Moogan’s sessions but FAILED miserably to make the most of the nuggets of wisdom offered on the subject of ‘gathering link intelligence’ by Dixon Jones of Majestic SEO. Last week I dug them out, and decided that they deserved to be shared. Here they are, and for those of you committed enough to read until the very end (don’t just scroll down, cheaters) there’s a chance to win a month’s FREE access to the Majestic SEO link intelligence toolset. Nope, he’s not suggesting mangling your arch competitors, Dixon means making the most of the potential to squeeze links out of authoritative and trusted online media sites. He gives the example of beautifulpeople.com – strapline ‘where beautiful relationships begin’ (yick). Beautiful people: where you can date a dancer, a snake charmer, or….a lion. 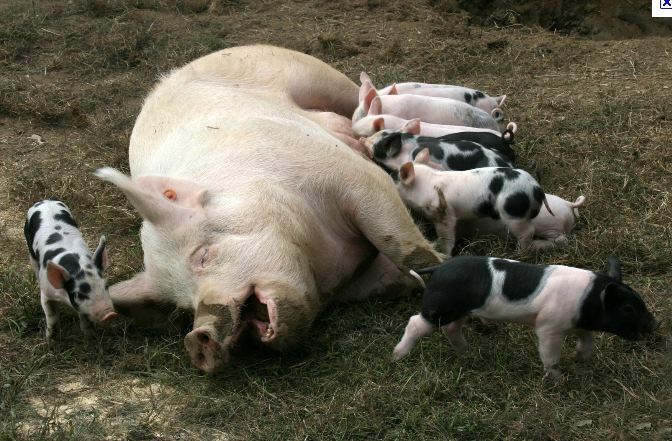 But if you like your potential love match to be on the rotund side, you’ll need to look elsewhere. As a dating agency they sit in the competitive arena of the online dating niche, their brand at the time wasn’t particularly newsworthy, and they had a new site that they needed to promote and raise awareness of. Result? Links from The Telegraph, The BBC, CNN, SKY and many others. 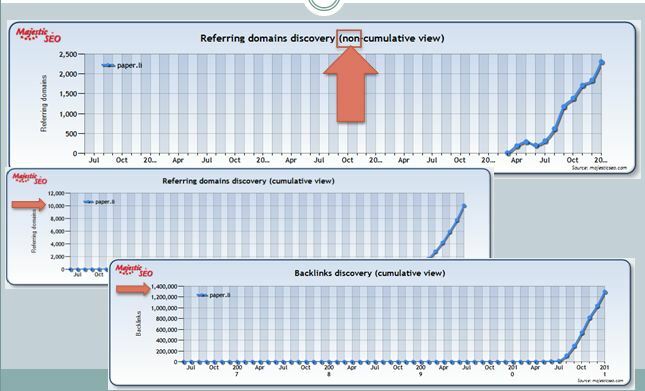 Dixon used Majestic’s own referring domains discovery tool (as well as supporting evidence from Alexa and Compete, he’s a multi tool kind of guy like that.) 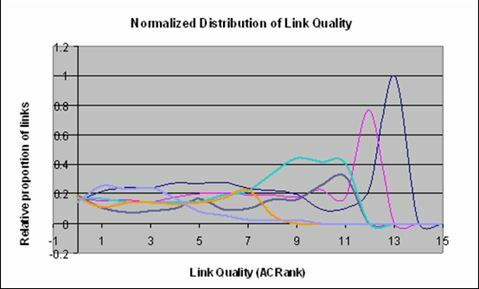 It shows that the site traffic reflects the link acquisition chart; good link bait led to good links which led to good traffic. The ‘noise’ and traffic was transitory, which Dixon sees as a typical result of a PR linkbuilding strategy. This needs to be supported by a more long term strategy which will focus on partnerships and relationships. Getting blogger links the easy way might include spending money and hiring a blogger through networks to write articles for you. Just like newspapers, bloggers LOVE exclusives. Exclusivity FTW. Find the right bloggers using blog search engines, and then measure their levels of social klout using social monitoring tools to check levels of twitter engagement. Do they get retweeted often? What’s their follower / following ratio? How many times have they been listed? Check to see if they appear in your custom search engine (see Tactic 3) and check to see if the inner pages of their blog have (real) links and authority. Build a custom Google search engine containing the sites relevant to your project. 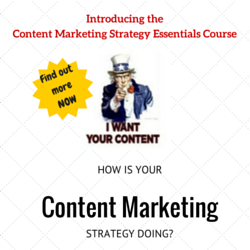 Add your site, your direct competitors, those linking to your competitors, and sites ranking for your keyphrases. 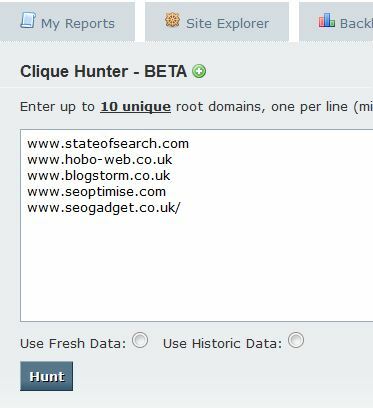 Use Clique Hunter on Majestic SEO (and also link intersect on SEOMoz) as a co citation tool, enter your own site and a number of your competitors to find the links they have, that you don’t. According to Dixon – “one of the coolest tricks in the book”. 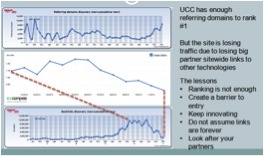 Run a backlink report on your site, then use a bulk header checker to view http status codes. Check all links to make sure they have a 200 or 301 response, and fix all of the 302’s and 404’s. Recommendations for bulk header checkers? Receptional Labs has a free tool (requires registration), and also live HTTP headers for Firefox (NB unfortunately still not updated to work with latest version of FF). There are others, but most do not record whether or not there is one, or multiple, redirections in place. This offers an at a glance representation of the anchor text of their external links, and you can make a rough and ready approximation of brand name links vs other words and phrases, perhaps event highlighting issues of over-optimisation of anchor text in your own or competitors backlink profile. Dixon recommends: avoid, avoid, avoid! 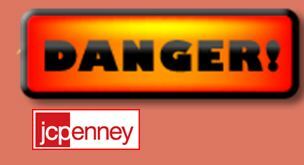 These are predominantly the tactics employed in the JC Penney linkbuying debacle and are the road to ruin. Dixon takes the example of paper.li – which he sees as one of the ultimate tools for leveraging the power of vanity bait. If you’re not familiar with it, paper.li offers on online and personalised newspaper built from all the articles, blog posts, videos and photos shared by an individual on Twitter or Facebook. So how has this affected the link graph for paper.li? The graphs (via Majestic SEO, who’d have guessed? 😉 show a very sustained link campaign with almost exponential link growth and illustrates an example of a long term strategy that can potentially dominate a market sector. This is an interesting little case study of an old tool that we’ve all probably used at some point or other (particularly the jetset amongst us), the XE UCC currency conversion widget (perhaps the earliest example of widget bait?) that failed to grow up and move with the times. Despite still ranking number 1 for ‘currency conversion’ and other high volume related phrases their site traffic is falling, and although they are still gaining links, they are losing them faster than they are generating them. Whilst XE still rank highly for their money terms, they are no longer the ‘go to resource’ for their previous link partners as other technologies have replaced them. They failed to innovate, didn’t create a barrier to entry and perhaps assumed that links from their previously strong relationships with their link partners would be forever. And also, because he’s a true gent, Dixon makes it clear that there are a number of link research tools available, and gives a plug for each of them: Wordtracker link builder, Linkdex, SEOMoz, Market Samurai, SEOBook, and Compete. And now for the ‘win free stuff’ part. Fancy winning yourself a month of free access to the Majestic Silver plan, giving you access to a range of link intelligence tools and reports? Of course you do. Just answer this rather esoteric and random question, and leave your answer in the comments below. This’ll suit any car fetishists…Dixon drives a very unusual vehicle – what’s it called? great article, I’m curious though if tactic 1 works *because* it’s supplied int eh press release as “example.com” rather than Example and the default CMS of the national media turns it into a link OR because there was explicit intention by thejourno to create an outbound link. Also tactic 8, how damaging or not is enabling pingbacks of your content by scraper sites. The noise of scraper pingbacks has recently led me to disabling them out the gate. 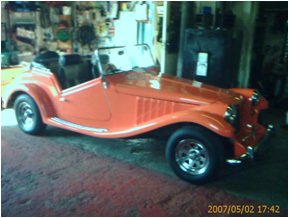 lastly, I’ll take a punt on the car and I’m no buff: it’s a cross between a Morgan and a Caterham (Morgham?) but it’s defintely an “image_00022.jpg” elsewhere. As for your other questions – the joy of writing up someone elses musings is that questions can be referred to them – hoorah. I’ll ping Dixon and see what he says…. Thanks for the write up Claire! 🙂 Glad you didn’t slate me. Paul – Thanks for the feedback. In regards to Tactic 1, it really depends on the Press Release channels they used, which I was not privvy to. However, my colleague Barrie Smith recently did some quite in depth research on the different online press release systems ( http://www.receptional.com/blogs/advertising/what-do-we-get-out-online-press-releases ) which compares costs vs effects. In the Beautiful People example, though, they clearly engaged a serious PR company. Online systems don’t get that kind of coverage! With the pingback feature, you do not need to authorize the pingback comments if the link is to a spam site and I certainly advocate manually authorizing comments if you want to stop the spammers. Yep, she’s good, she works hard, she can write, she knows what she is talking about AND she is filthy, fit and makes good raspberry cup cakes. The woman is a goddess. Oh, and her proof reading skills are awesome too. I just love reading other people’s professional language. Sometimes I think I understand what you and the SEO people are saying and then WHAM were’re off to the land of OZ and I am lost agin. I don’t know if I can give a prize for most charming car compliment. How about if nobody gets the right answer, I default to most charming compliment? Then again MAYBE someone has already said the right answer… but I wouldn’t hold your breath! Dixon – It’s a Pilgrim Bulldog. Well done Mr Gailey 🙂 Dixon has replied below, well done and thanks for playing! Well done Paul. I’ll get you prize sorted next week.